I've been neglecting this blog, sorry! I'm just going to post this picture of what happened yesterday! 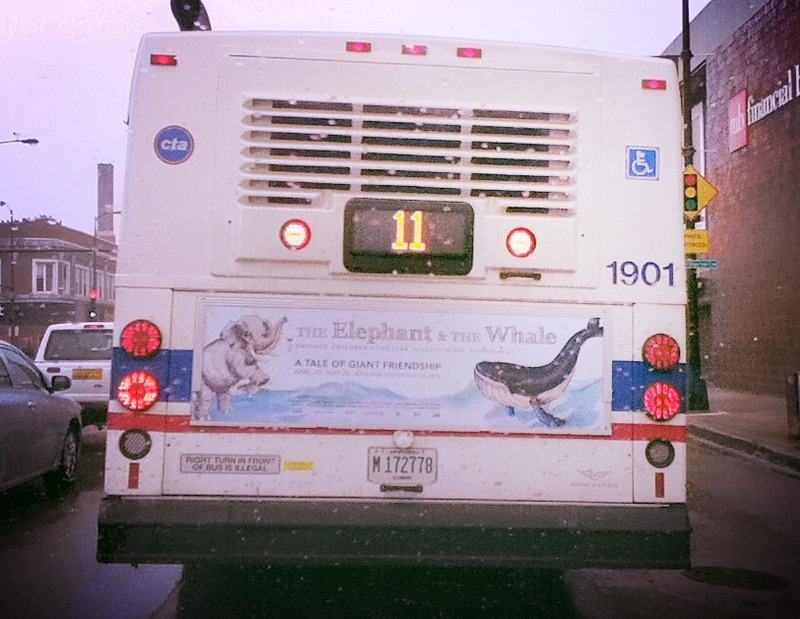 I was driving behind a bus and I noticed the ad on the back looked familiar. 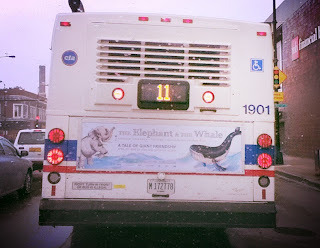 It was the artwork I did for The Chicago Children's Theatre's upcoming production of The Whale and The Elephant! Go see it!